Greetings! 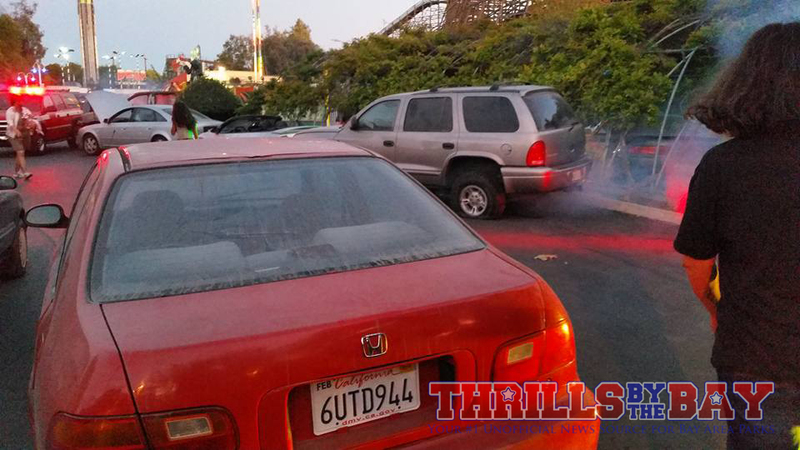 California's Great America kicked off their 8th Annual Halloween Haunt. This isn't a full on review, but just a look at some of the newness this season and our initial thoughts on opening night. 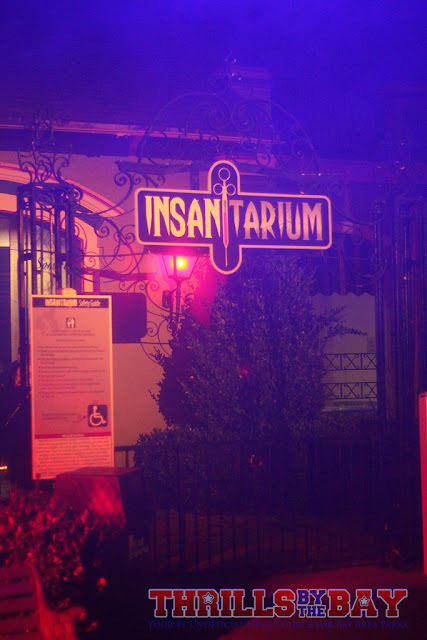 Haunt brought us a brand new maze, Insanitarium (Also spelt as "Insanitorium" for some reason, both spellings mean the same thing). Also new are 3 all new scare zones: Lockdown, Killer Clown Town, and Evacuate!. Returning this year are the bonus Skeleton Key rooms, all being fresh experiences except Madame Marie's (which is just too classic and too cool to pull the plug on). We won't give any details yet on the Skeleton Key rooms, you'll have to experience it for yourself with the purchase of a Fright Lane pass. We didn't catch the 3 returning shows but Nytewalkers, Academy of Villains, and our personal favorite, Blades of Horror are back! We'll be back again next weekend to check out what we missed last night. 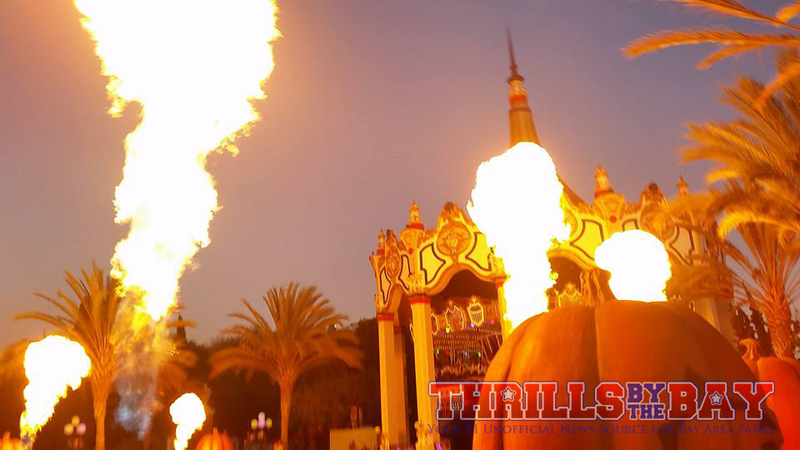 Last but not least, the cool flame throwers are back again this year! Now among the new stuff, we were actually a bit underwhelmed by a lot of things. One of the biggest things that disappointed us on opening night was the lack of monsters, both in mazes and in the scare zones. A good example was Toy Factory, where we walked the empty maze until the game room. We do want to give kudos though to the character in the Skeleton Key room in Toy Factory, they filled their role rather well! 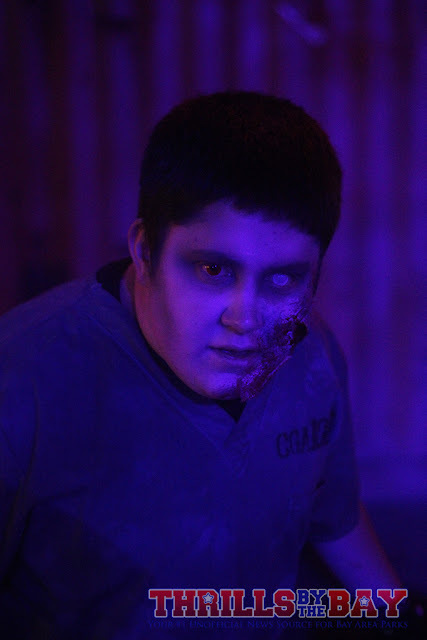 But another maze that did nothing was CornStalkers outside of the skeleton key room, and was perhaps the weakest maze of the Haunt. We even walked through 90% of Dia de los Muertos with just nothing but visuals/props. Insanitarium, the new maze, was the highlight of the night though were a bit underwhelmed by the skeleton key. I guess it really depends on the person but the set up looked too good to have us desire something more to have happened. But the maze itsef felt like a worthy replacement of CarnEvil, as classic as that maze was. 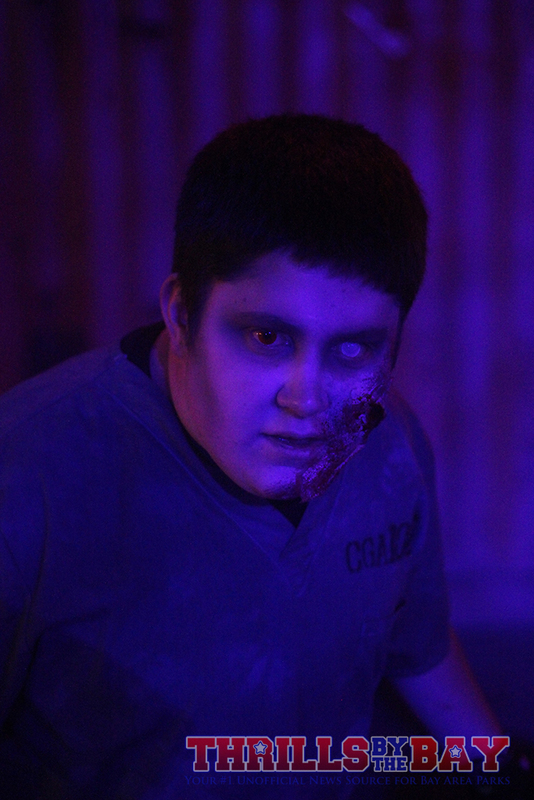 As far as scare zones go, the most visually impressive one was Evacuate. It looked too good to only have just a tiny handful of characters terrorizing people. Killer Clown Town was set up nicely but too long of a stretch for the few clowns running around. We also caught a glimpse of some street performers on stage right at the beginning/exit of Killer Clown Town, who were pulling off various moves with different skill toys (We saw a diabolo/Chinese yoyo on stage but didn't catch it in action) which creates a nice entry into the zone. 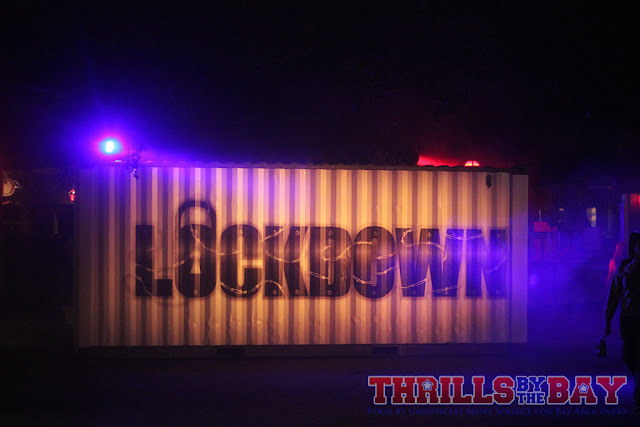 Lockdown, probably the least elaborate, was probably one of the best and most active scare zones as the characters there came out of nowhere and came sliding out in front of you. 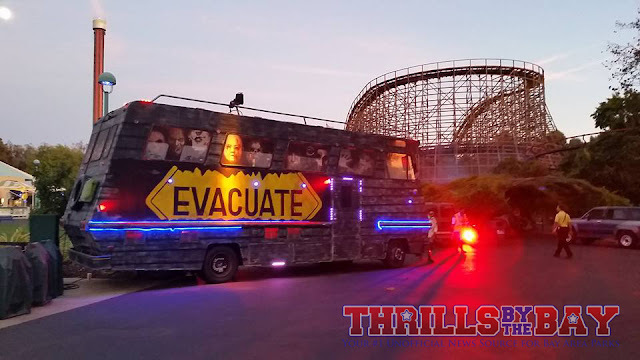 Last thing to bring up is a mix of different things...Haunt was once known for it's unique area themed music (custom written for the park). Last night, the only remains of the custom music was the Toy Factory song and Dia de los Muertos. Also missing was Funhouse Express, one of our favorite movies to play in the aging Action FX theater. This section of the park was rather dead with no show at all. 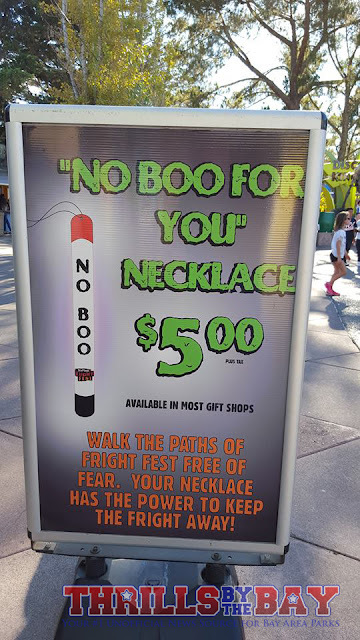 Haunt 2015 also introduced the highly debatable device among the Haunt fans: The "No Boo Lanyard." 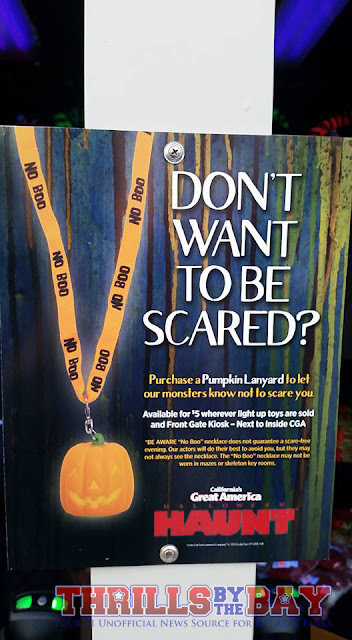 For $5, you can purchase this light up lanyard to keep monsters from messing with you. Other parks have done this including Six Flags. Fright Fest is technically not a separately ticketed event though so it makes sense, families with children may still be lingering in the park when Fright Fest begins. 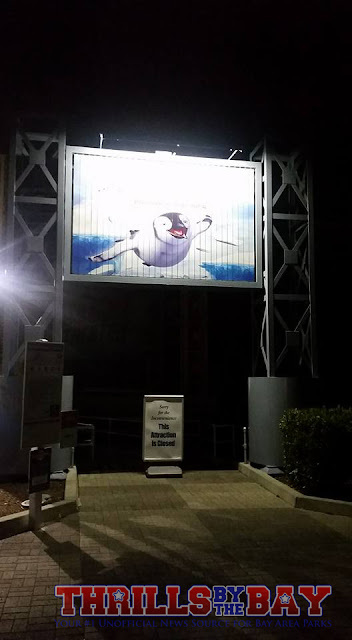 Six Flags Discovery Kingdom doesn't close and clear everyone out to reopen with a fresh crowd of people. 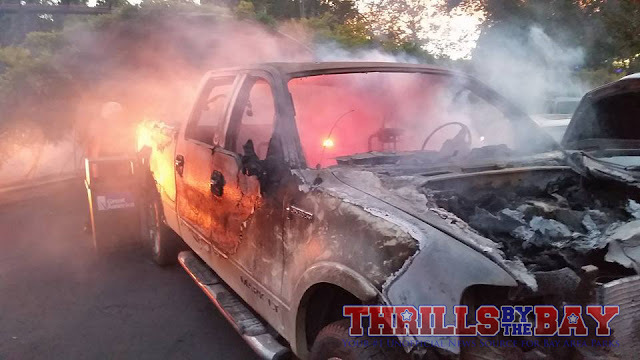 Haunt however is its own event. Great America closes down and reopens in "Haunt Mode." So basically...you're paying to get scared (Isn't that what Haunt's about?) but then you can pay to NOT get scared. Haunt isn't really an event that's meant for children, which is why the park has its festivities earlier in the day during normal operating hours for the young ones. We will be back in the coming weeks to see if anything changes and to give things a second shot before giving our full on review but until then, opening night was a hit and a miss for us. 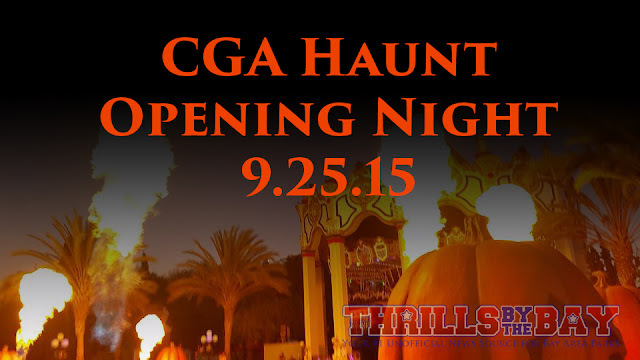 Did you attend opening night? We'd love to hear your thoughts - highlights, lowlights, and general thoughts!